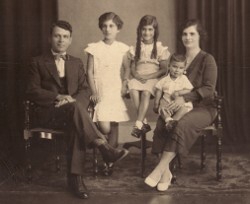 Above Right: The Tzanis family. 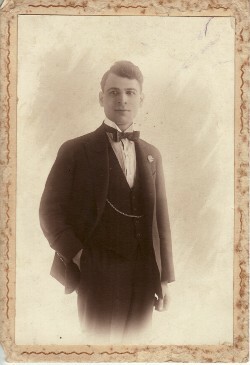 With his wife, Irini, and their children, Marika, Pelagia and Georgios. Above: With friends. 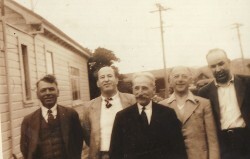 L-R: Antonios himself, Aristides Asproloupos, Ioannis Kathestides, Georgios Mastrogeorgiou and Christophoros Giavasis. 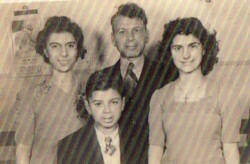 Above Right: With his children, Marika, Georgios and Pelagia. Above and Above Right: As an avid angler. 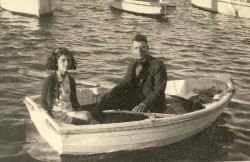 In the right photograph, Antonios is with his daughter, Pelagia.